With your approval, Victoria Cleaners can eliminate the hassle of writing a check for cleaning. We can debit your checking account each month or charge your credit card. You’ll receive a detailed monthly statement listing all your charges for the month. Automatic payments by debit or credit card are processed by the tenth business day of each month. If you’re interested in having your Victoria Cleaners bill paid automatically by either of these services, complete the form and send it to us with your next payment. 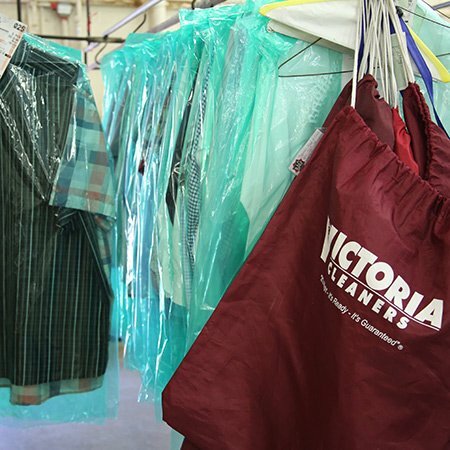 Life is busy enough without having to worry about getting to the dry cleaners on time. We offer several home and office pick-up and delivery routes. If you are interested in the ease of regular, timely pick-up and delivery, contact us to discover how affordable this solution can be for you.